We are excited to announce December's Ride VIBE! 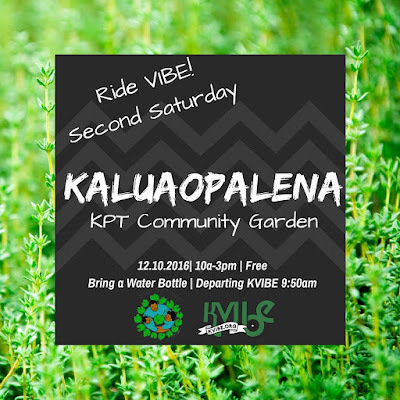 Second Saturday Community Event will be doing some ʻāina-work at Kūhiō Park Terraceʻs (KPT) Kaluaopalena Community Garden on Saturday December 10. 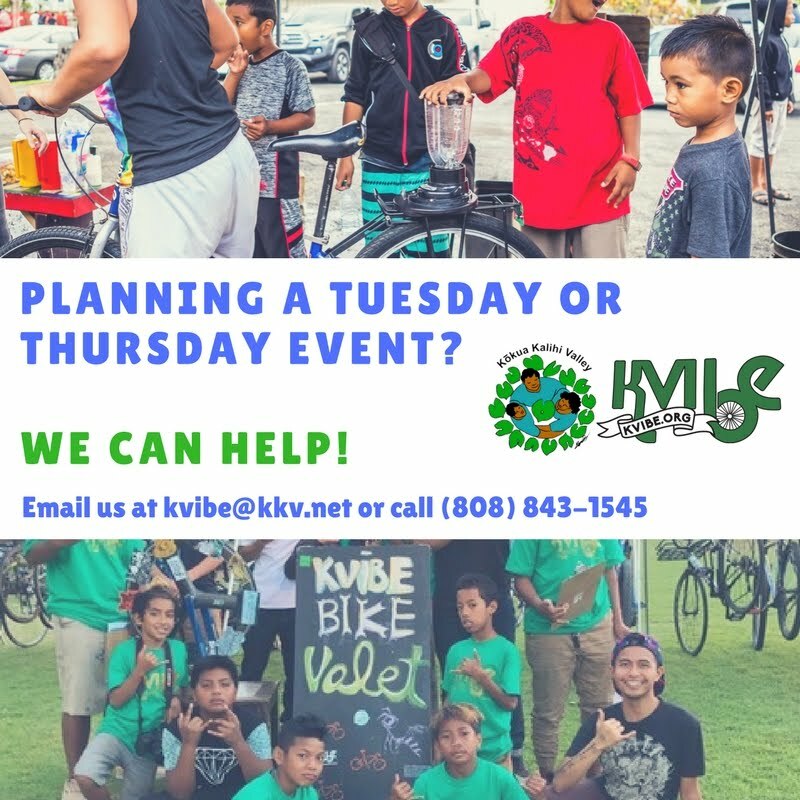 We'll be departing KVIBE at 9:50am and bike or walk our way to the garden. If you already know where the garden is, we will meet you all there! Our workday will start at 10am and pau at 3pm. Please bring a water bottle and garden clothes (covered shoes and clothes you don't mind getting dirty). Bring a friend, too! They also have a bunny hutch with lots of cute bunnies to pet. 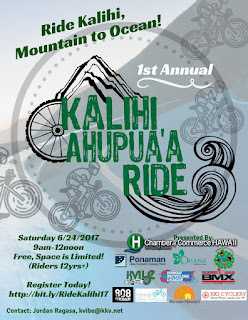 It'll be a super fun day for hana hana!